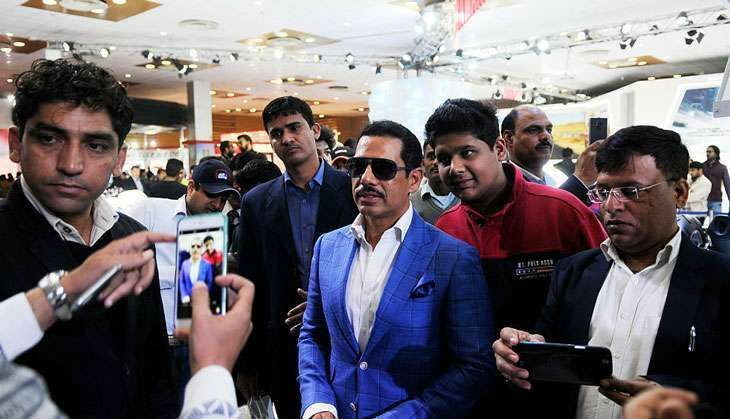 Hours before Justice SN Dhingra Commission was to submit its report on granting of licences to some companies in Gurgaon, including the ones involving Sonia Gandhi's son-in-law Robert Vadra, the Congress is jittery over the contents of a "politically motivated" report. Refusing to go on record, a senior Congress spokesperson told Catch how Vadra was being targetted for being the son in-law of party president Sonia Gandhi. But Congress will respond to the "political vendetta" as and when the contents of the report are made public. "We would give a befitting reply to those picking and choosing certain land deals to tarnish the image of the grand old party, especially the senior leadership," the spokesperson said. On his part, Vadra said on Facebook: "Almost a decade of governments false and baseless accusations on me! They cannot prove anything without proof, and there is nothing there to prove... I will always be used for political gains, I know ... But I will walk with my head held high, as in time and with the truth which will conquer incorrect perceptions, that are created about me." The Dhingra Commission was constituted by the Manohar Lal Khattar government more than a year ago to look into land deals in Gurgaon, particularly those between real estate giant DLF and Vadra-owned Skylight Hospitality in Sector 83 of Gurgaon. The mandate of the commission was to inquire and give its "findings and recommendations" on the circumstances under which the licences for building commercial colonies were granted - whether the entities participating were eligible and whether there was any loss of revenue to the government. The commission was to submit its report six months earlier but was given a six-month extension by the Haryana government that expires on Thursday. The commission was given an extension after the state government brought in Sectors 78-86 under the ambit of the inquiry. It was to submit its report by 8 December, 2015 and was asked to submit the final report by the first week of June when the commission sought three more weeks to finish it. On Wednesday, Justice Dhingra publicly acknowledged that the probe has been completed and the report would be submitted to the state government on Thursday. He claimed that over the course of one year, the one-man commission examined close to 250 files and questioned 25 government officials at a special court in Gurgaon. Neither Vadra nor IAS officer Ashok Khemka were asked to appear before the commission. The deal came into prominence in 2012 after Khemka raised issues about its validity and cancelled the Vadra-DLF deal. Back in 2014, BJP made it an election issue and even in 2015 in the run up to state assembly elections the saffron party promised to bring the guilty to the book leading to setting up of Dhingra Commission in May 2015. The commission twice summoned former Haryana chief minister Bhupinder Singh Hooda, who instead sent his counsel to argue on his behalf. Hooda was also the minister of town and country planning and responsible for issuing licences. He was asked to depose in regard to approving the change of land use and issuing licences in four villages of Gurgaon district. On Wednesday, Hooda wrote to Haryana Governor Kaptan Singh Solanki, requesting him to revoke the constitution of the commission and "to look into the matter to uphold constitutional values and to advise the present government not to abuse the provisions of law to harass the members of the opposition party (Congress)." Attacking Khattar, Hooda called the formation of the commission a unilateral decision and how "this government has changed and liberalised the policy parameters for allowing change in beneficial interest viz. change in developer, assignment of joint development rights and/or marketing rights etc. in a licence granted under the Haryana Development and Regulation of Urban Areas Act, 1975". The report is expected to be out soon and is bound to create fireworks considering those being probed include Vadra and Hooda. Sarabhai vs Sarabhai might be making a comeback and WE CANNOT WAIT! READ NEXT >> Sarabhai vs Sarabhai might be making a comeback and WE CANNOT WAIT!